By far my most exquisite and rare model. 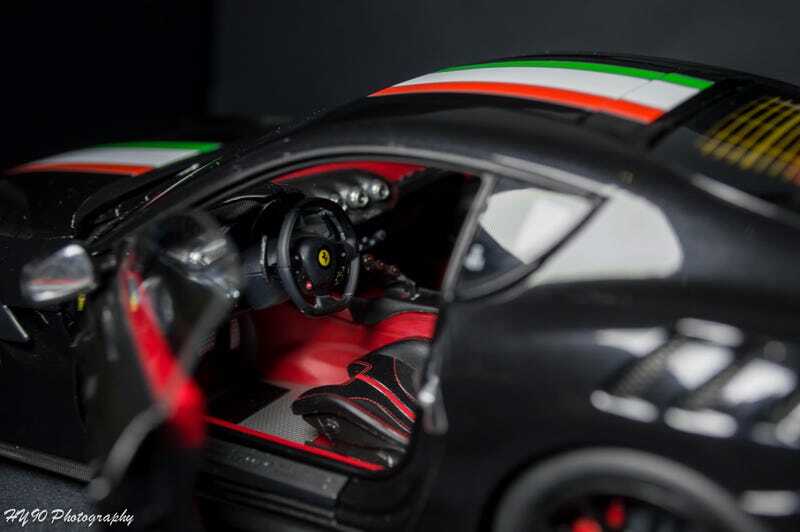 This BBR 1:18 Ferrari F12 Tdf is actually one I’ve wanted for a while. Missed the initial release so had to buy one for a slight premium over the original price. Albeit not as much as you would think. Haven’t done a full review in a year so once I have time this coming Thanksgiving weekend, I’ll be sure to write one up!